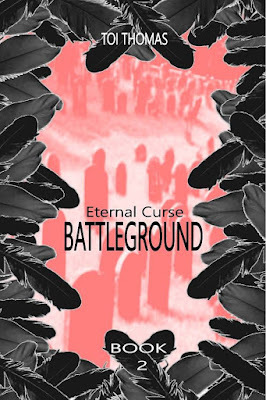 The story within my Eternal Curse Series started from a dream I had about a gray man who later turned into an angel. The crazy thing about it is, I don't actually believe people can become angels. When I started writing the first installment of the series, EC: Giovanni's Angel, I knew I'd have to take my personal beliefs and mash them up with 'what ifs' and influences from other lores to make up the compelling story I felt developing in my mind. Later, I tried to think back to my childhood and remember where the fascination with angels started. I don't recall thinking I had a guardian angel growing up, at least, not until I was a preteen. Growing up in a large family and being around babies all the time, I remember someone telling me that the reason babies often stared into space and giggled at nothing was because they were innocent enough to see the angels and that the angels were playing with them. To many people, this scenario is a far out idea. To think that our perception and maturity affects our literal ability to see what's around us and the notion that angels are among us is a lot to accept. I would learn later in life that my notions and ideals of angels were not the norm around the world. Not everyone believed what I believed, so that made me wonder even more. Do people who don't believe in angels lose their angels or do they never have them to begin with? What's the point of having a guardian angel if you can't interact with them? Perhaps, there isn't just one angel to watch over just one person; maybe it's more of a grouping effort. Perhaps one angel watches over several people because divine power allows them to multitask at a measure that is beyond human understanding. These and so many more questions fuel my fascination with angels, and these are only the questions I have from a Judeo-Christian point of view. There are so many more to consider, but you'll have to wait till part three to discuss some of my other queries... On to the list. The Fall, has one of three distinct meanings in relation to angels, some more popular than others, but here they are. 1) The Fall of Lucifer from grace/Heaven. 2) The Fall of Angels/The Sons of God who took human wives against God's will. 3) The Fall of man/humanity when Adam and Eve ate of the forbidden fruit (tempted by Satan in the form of a serpent). The idea of a guardian spirit/angel dates back to the beginning of time, long before it was fully established as a popular Christian idea. In ancient Mesopotamia, massar sulmi, were the personal gods that looked after individuals. An, almost, ancient theologian named Origen can be credited for all those cartoons of little angels and devils on either side of a characters aiding them with the decision to do the right thing or be bad. Did you know there is a hierarchy of angels? Well, actually, there are several, but the Dionysian one is the most popular. This doesn't necessarily mean that not all angels are created equal in value, but it does define the complexity of each type of angel. I guess historians and theologians figured that if animals and plants were going to be categorized, so should the greater/higher beings leading right up to God. Plus, this idea reflects the social or caste systems of many monotheistic religions where not all gods are created equal. Here's a bit of name play for those not familiar with bible stories. Jacob and Israel are one in the same, but to explain why here would take too long. There's a bunch of Greek and Hebrew translations involved along with a family saga, a 'calling' from God, and a name change. In any case, I mention it here because aside from it being the name of a country, it's also the name of an archangel. Israel is the angel of praise or the "one who calls the angels to praise", also known as Uriel. Well, that's all I have for today. Stick around this blog so you don't miss part 3 down the road. Be sure to check out my Eternal Curse Series? Giovanni is a creature out of time. Mira is a doctor trying to classify him. Beauty and the Beast meet Jekyll and Hyde in this paranormal tale with romantic and biblical influences. A tale for fathers, sons, and daughters, this epic saga touches the past and future. 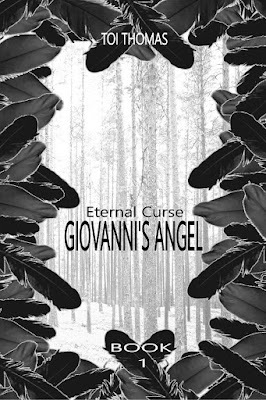 The story of Giovanni will bring you to tears as loss and duty blur the lines of hope for what is to come. The Eternal Curse series was my first book and series I ever wrote and to know that someone liked it meant the world to me. It's currently unavailable pending a rewrite in order to align it with new developments in the 3rd installment. If you'd like to read the first two books and offer me your feedback, please consider joining my email list to receive a free digital copy. Dreams as inspiration for stories! Fabulous. I wish I could remember mine in such detail. Thanks for sharing, Toi. I have a fascination with angels, too. Wednesday on A Small Gang of Authors, Toinette Thomas​ -- author of the "Eternal Curse" series -- continues with part of her article on Guardian Angels, the Hierarchy of Angels, and the 3 aspects of The Fall from Grace. Please, check it out. Thanks! This is great, Toi! I liked you're discussing of Guardian Angels, and especially the hierarchy and the 3 aspects of The Fall. I am so looking forward to part three. I'm so happy to continue my exploration of angel lore, sharing some of the cool things I've learned in part of this series. More on angles and the inspiration for her book, from Toi Thomas. I hadn't considered the rotation theory. I like it! I love your posts, Toi! I love stories like this. It really makes you question the actions we take in life and all the things that happen around us that could change our fate at any moment. Did you happen to see the movie Jacob's Ladder? Has some stark images in it. And it doesn't matter if others believe what you believe. That's why diversity is cool. I can appreciate your beliefs even if I don't share and vice versa. I have not seen Jacob's Ladder, but I have heard of it. And you are right about diversity. Sometimes the thing I enjoy most about a story is seeing someone else's beliefs or point of view on a particular matter that is different than mine. For me, it's not about trying to have the same opinion or change people's minds, it's about being exposed to a different mind set and appreciating that difference whether I agree or not. I have so many ideas floating around in my head that I never would have had, had I not been exposed to different social, cultural, and even religious influences.